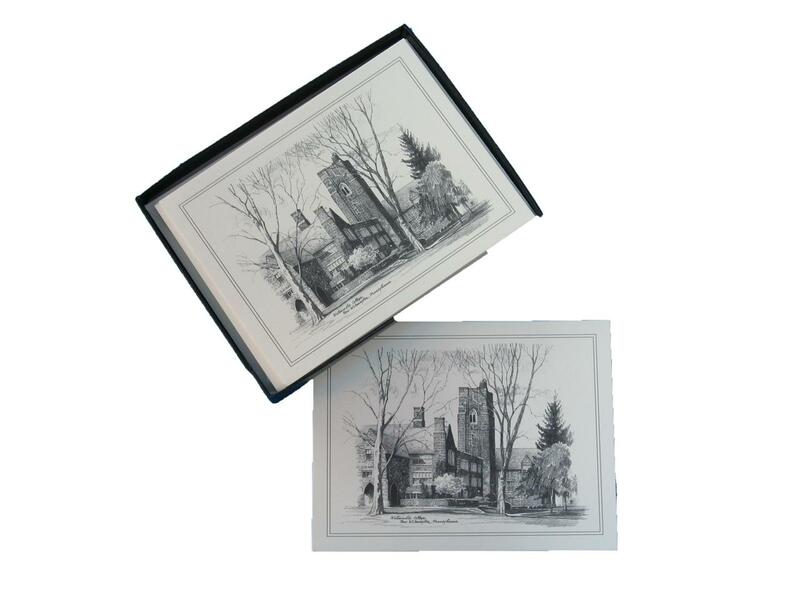 Package of 10 notecards and envelopes on ivory paper with Old Main black and white sketch on front of card. Card is blank inside. 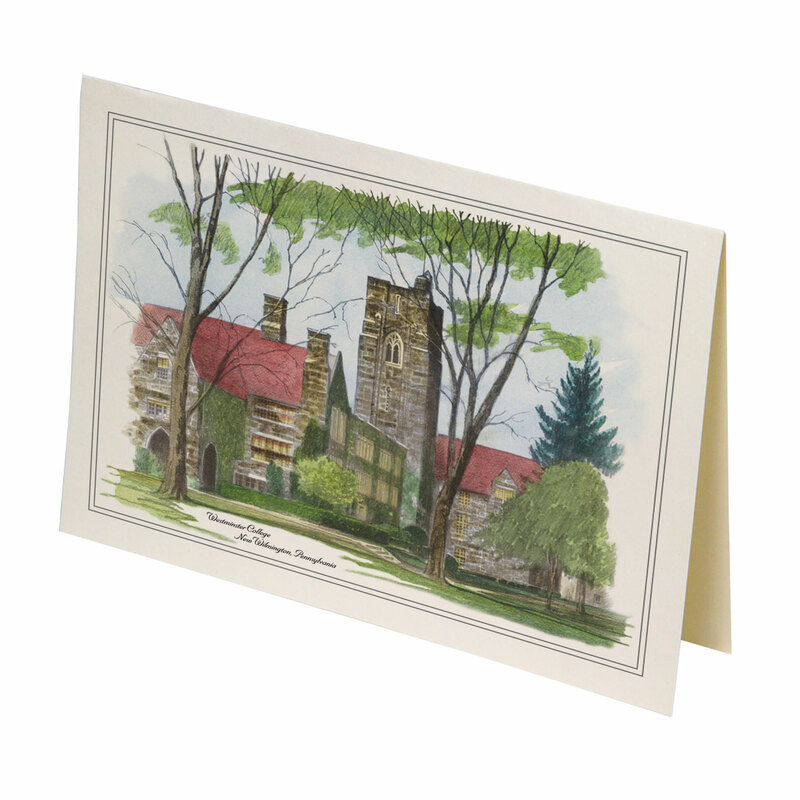 Package of 10 notecards and envelopes on ivory paper with Old Main watercolor sketch on front of card. Card is blank inside. 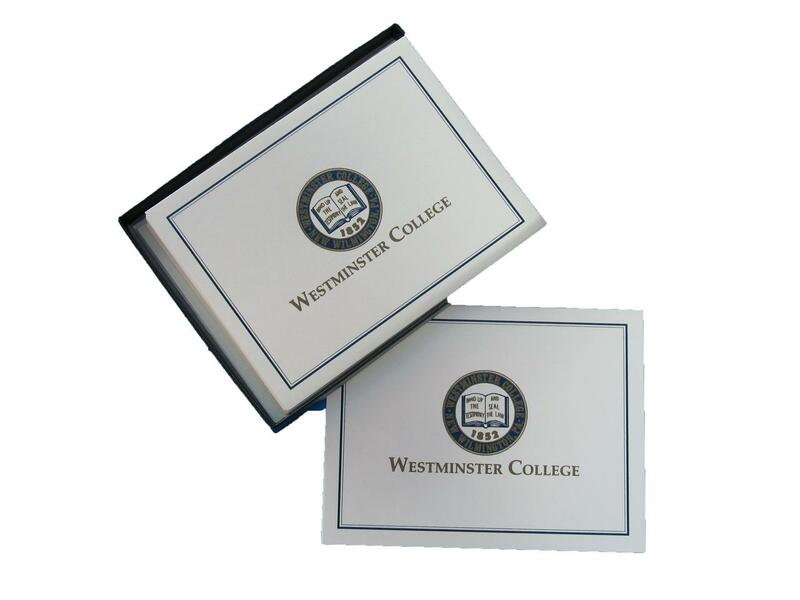 Package of 10 notecards and envelopes on ivory paper with Westminster seal on front of card. Card is blank inside. 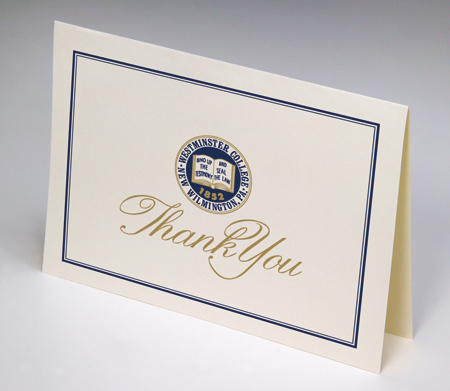 Package of 10 thank you cards and envelopes on ivory paper with Westminster seal on front of card. Card is blank inside. 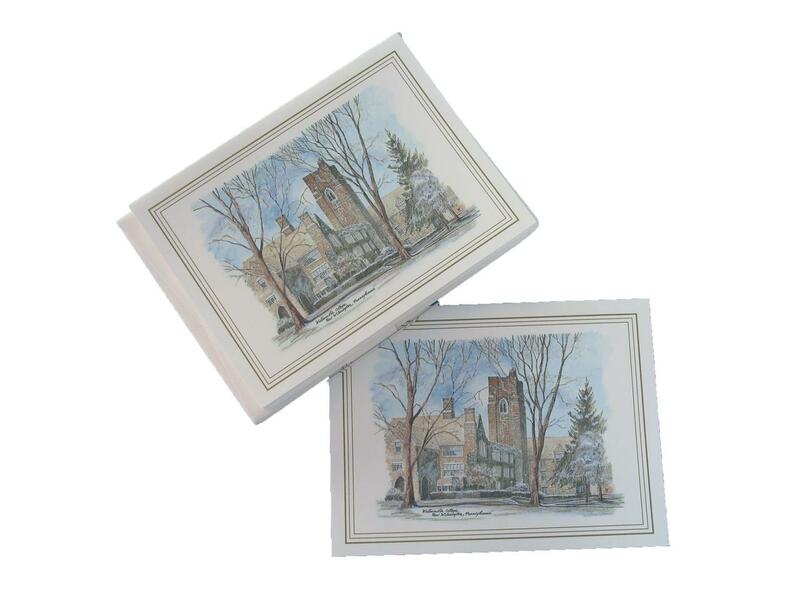 Package of 10 notecards and envelopes on white paper with winter scene of Old Main in watercolor. Inside card says Season's Greetings.